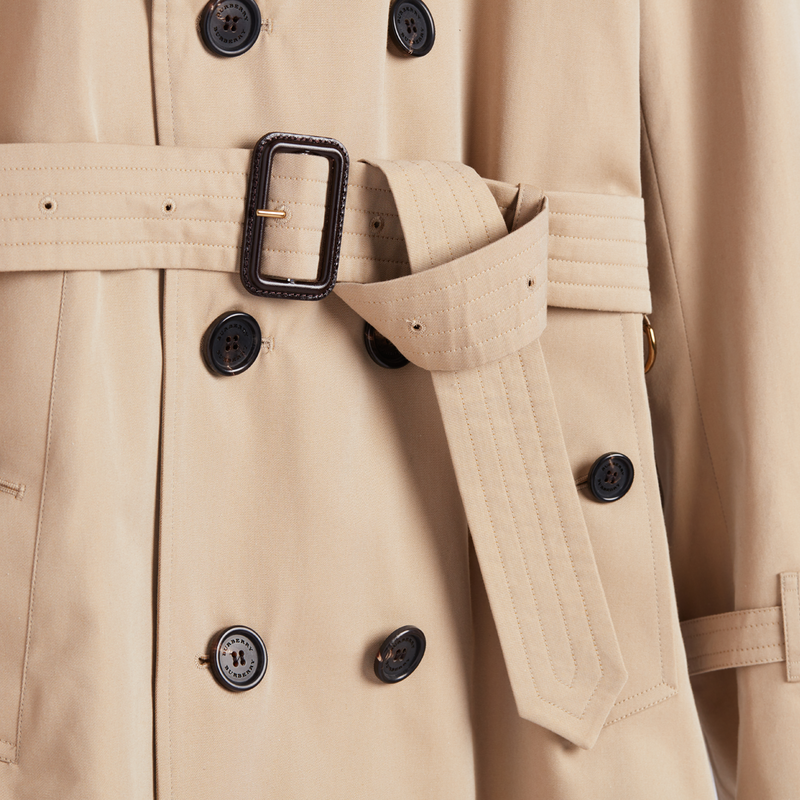 Let’s face it: The trench coat is the James Bond of outerwear. A timeless mix of utility and style, these robust jackets carry a rich history. They rose to fame during wartime, but quickly became a fashion favorite in films before sweeping down runways across the world. 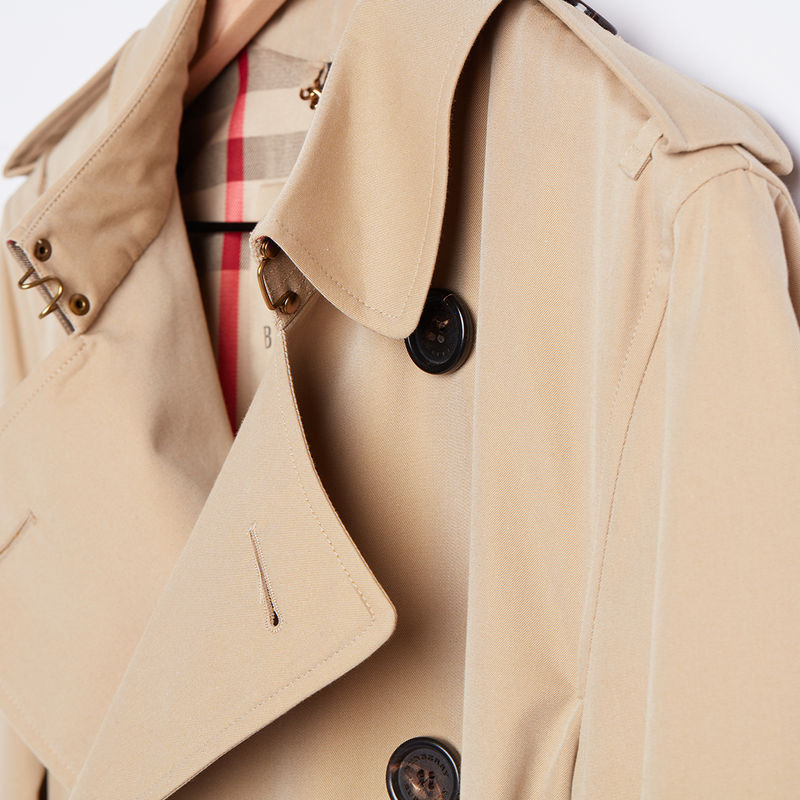 Trench coats have since become synonymous with smart, sophisticated style, and luxury brands like Burberry, who claim to have designed the first. One thing’s for sure: These classic jackets aren’t going anywhere. 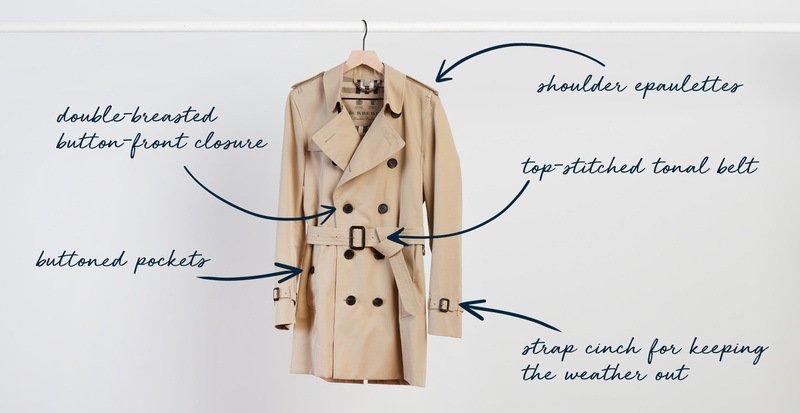 Read on for a bit of history on the trench coat, its useful features, and why you should think about hanging one in your closet (if you haven’t already). 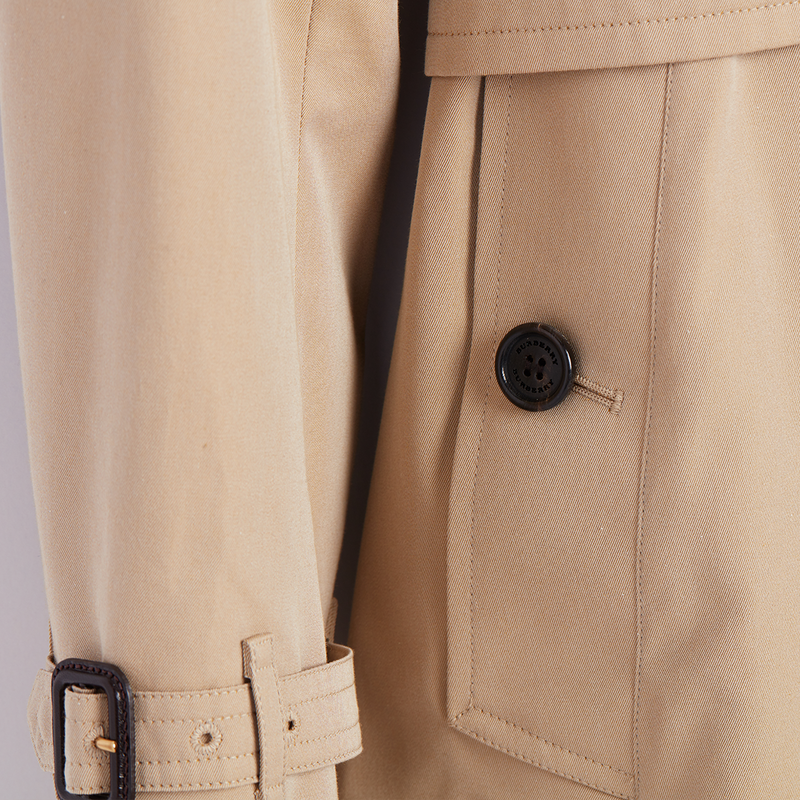 Upon first glance, the classic trench coat offers plenty of visual cues that its origins were of the utilitarian variety. Designed specifically to keep soldiers dry in wet and mucky conditions, they get their name from their use in the trenches during the First World War. Once the war ended, they became a popular item due to both their striking appearance and functionality. In films, detectives and secret agents adopted the style. They morphed into a mainstream fashion statement soon after. Classic trench coat features are generally similar, despite various design interpretations. They boast a double-breasted button-front closure, shoulder epaulettes, and a single storm flap on the shoulder. They're worn cinched at the natural waist, usually by a top-stitched tonal belt. Pockets are often closed securely with buttons, and the sleeves have an additional strap cinch for keeping the weather out. One of the best things about trench coats? They’ll keep you dry in style. Functional trenches come in waterproof—or at least water-resistant—fabrications like heavy cotton drill, gabardine, leather, and poplin. When all is said and done, it’s also hard to ignore their undeniably cool vibe. Whether you’re aiming for understated style or are keen to resemble James Bond, you can rely on a trench to complete the look.